The PlayStation Network will still be free to use, but for $6 a month users will get a little bit more with PlayStation Plus. We'd heard rumors of a paid premium PSN in the past, and Sony confirmed it on stage at their E3 2010 press conference: PlayStation Plus is real, and will cost gamers $49 a year, or $18 for three months to subscribe. 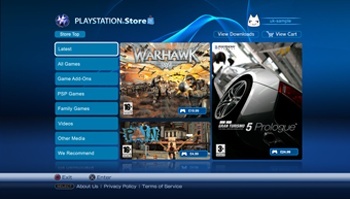 For your money, this is what you get: Exclusive betas and demos, discounts on PSN games and downloads, as well as a feature that will automatically detect, download and install update updates and patches (I hope you can turn that off, if you're running Linux on your PS3 - for example). If you don't want to pay, though, you still can play online - it's just an added bonus on top. For more, check out Steve Butts' liveblog of the event.